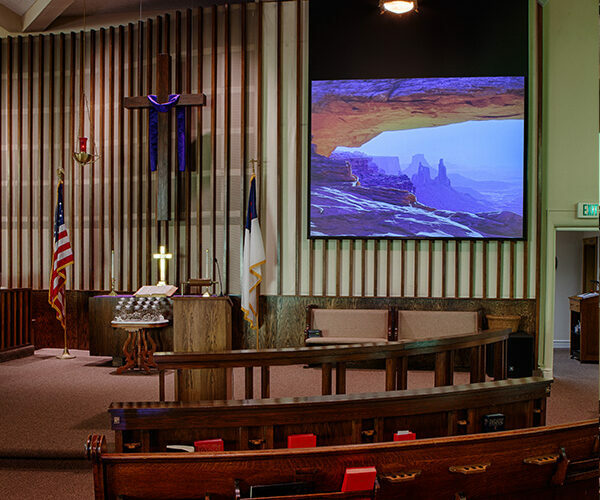 The First United Methodist Church in New Castle, Indiana has a Targa Projection Screen and an Edgeless Clarion. 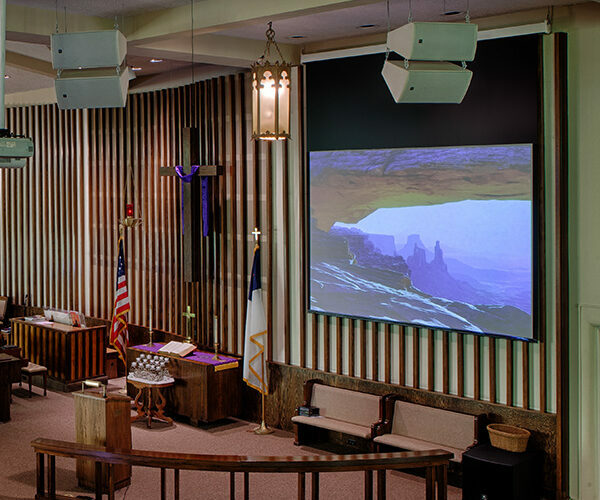 The Targa Projection screen’s design allows the viewing surface to be centered in its one-piece, white steel case for a trim, balanced appearance. The motor is mounted inside the roller on special vibration insulators, so operating noise is dramatically reduced. 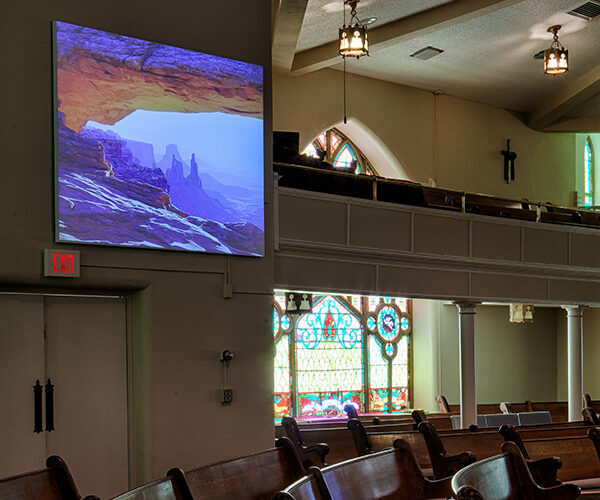 With an Edgeless Clarion, the viewing surface wraps completely around the perimeter of the frame and attaches to the back side, so the screen is solid white—and perfectly flat— with no visible frame or border. Ideal for any application where the screen must be perfectly unobtrusive.